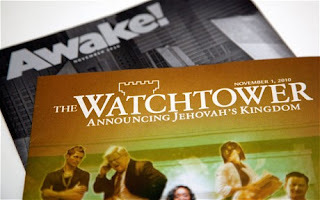 A Russian court has labelled Jehovah's Witness as an extremist group and therefore banned the group from operating in the country. Based on this, the court has ordered the closure of the group's Russian headquarters and its 395 local chapters, as well as the seizure of its property. Russian authorities have put several of the group's publications on a list of banned extremist literature and prosecutors have long cast it as an organisation that destroys families, fosters hatred and threatens lives. The group, a United States-based nontrinitarian Christian denomination known for its door-to-door preaching and rejection of military service and blood transfusions, says this description is false. Sergei Cherepanov, a Jehovah's Witnesses representative, says that the group will appeal the decision in the European Court of Human Rights. "We will do everything possible," he said. The religious organisation has expanded around the world and has about eight million active followers. It has faced court proceedings in several countries, mostly over its pacifism and rejection of blood transfusions, but has Russia has been most outspoken in portraying it as an extremist cult. Its Russian branch, based near St Petersburg, has regularly rejected this allegation. It has said a ban would directly affect around 400 of its groups and have an impact on all of its 2,277 religious groups in Russia, where it says it has 175,000 followers.